I imagine radios, I-pods and live performers are pulling up “Take Five,” “Blue Rondo a la Turk” and more to honor Dave Brubeck, who passed away this morning. Perhaps we will be hearing samplings of Brubeck and experiments with odd time signatures throughout the coming week. I know I will think of Dave no matter what live music I catch over the coming weeks. And there’s plenty of music to catch here in the Twin Cities. Friday, December 7. Connie Evingson returns to the Artists Quarter, a prelude to a West Coast visit in January that will take her to Seattle’s Jazz Alley. 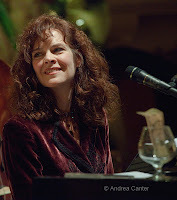 Her repertoire is as wide as jazz and even beyond, from songbook standards to Peggy Lee to the Beatles, Django Reinhard, Dave Frishberg, Norman Gimbel and whatever falls in-between. And she has an amazing ensemble tonight, with Tanner Taylor, Dave Karr, Terry Burns and Joe Pulice. Friday-Saturday, December 7-8. It’s only been about 8 months since the last visit from the Manhattan Transfer, and now they’re back with a special holiday show at the Dakota. Performing now for nearly 40 years, the much-honored ensemble still sports three of the four original voices (Alan Paul, Tim Hauser, Janis Siegel) and long-time fourth, Cheryl Bentyne. Bentyne was on medical leave last spring when TMT came to town, but is back at full throttle and in time to celebrate the holidays with TMT’s classic, classy style – putting pop into jazz, jazz into pop, with their signature harmonies. Saturday, December 8. It’s a busy day for Zacc Harris. Early afternoon finds him backing popular vocalist Lucia Newell at Eat Street Social. Lucia has a predilection for Brazilian fare so we can expect some voice/guitar magic. Then, its another installment of Jazz at Studio Z with its monthly workshop/concert format, this month featuring percussionist/educator Babatunde Lea. Lea is somewhat of a Renaissance man, having spent much of his career in the Bay Area before relocating to the Midwest by way of Pennsylvania. Along the way he worked with Bill Summers, McCoy Tyner, Stan Getz and perhaps, most importantly, Leon Thomas. He also founded the nonprofit Educultural Foundation in California and cofounded the jazz-friendly record label, Motema. Living just over the border in Wisconsin, Lea has developed a musical partnership with Zacc Harris, Chris Bates and Richard Johnson. The quartet will start off the evening with a free workshop, focusing on the “troponga” – a hybrid trapset/conga instrument, and then head into the performance space for a concert. We should be hearing from Lea and his troponga! 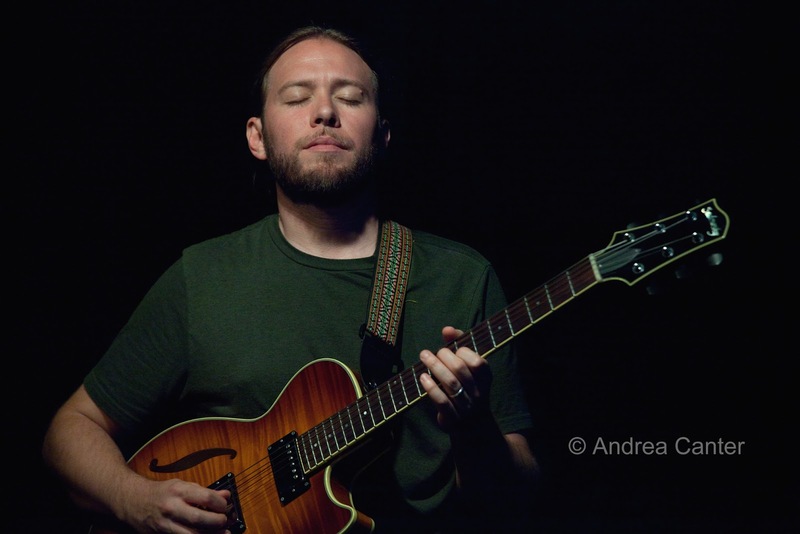 And another guitarist leads the band tonight at the Artists Quarter, as Dean Magraw heads a quartet with hot-handed Brandon Wozniak on sax, sublime Billy Peterson on bass, and ever-steady drummer Kenny Horst. Can’t ask for more capable improvisers! Sunday, December 9. Start out in the afternoon with the annual Capri Big Band Holiday Concert at the Capri Theater, Minneapolis (3 pm, free). It’s our area’s largest big band with 29 musicians, led by Fay Washington and boasting such names as Dean Brewington, Jimmy Wallace, Donald and Kevin Washington and Solomon Parham. And I hear there’s a 12-year-old on piano as well as some veteran teenagers. A couple hours later, the PipJazz Sundays concert season ends at Landmark Center with a salute to the holidays and more, with vocalist Pippi Ardennia hosting crooner Jason Richards and young cellist Freeman Ryan. It’s trade mark PipJazz, meaning a terrific house band (led by Peter Schimke, Billy Peterson, Glenn Swanson and more), a singing hostess who can make the walls shake (Pippi), and topnotch guests. The series then goes on winter break til March. Monday, December 10. 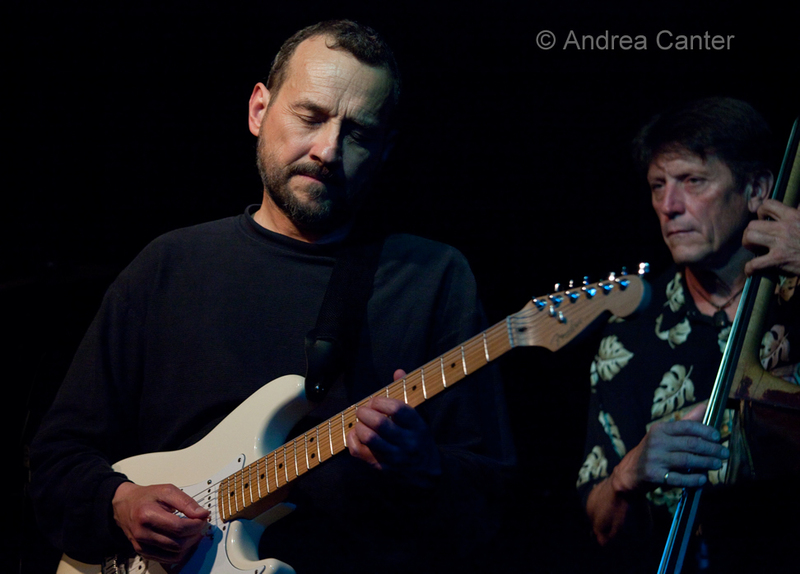 The Atlantis Quartet (Brandon Wozniak, Zacc Harris, Chris Bates, Pete Hennig) is gigging a lot these days in preparation for the recording session for the fourth album. 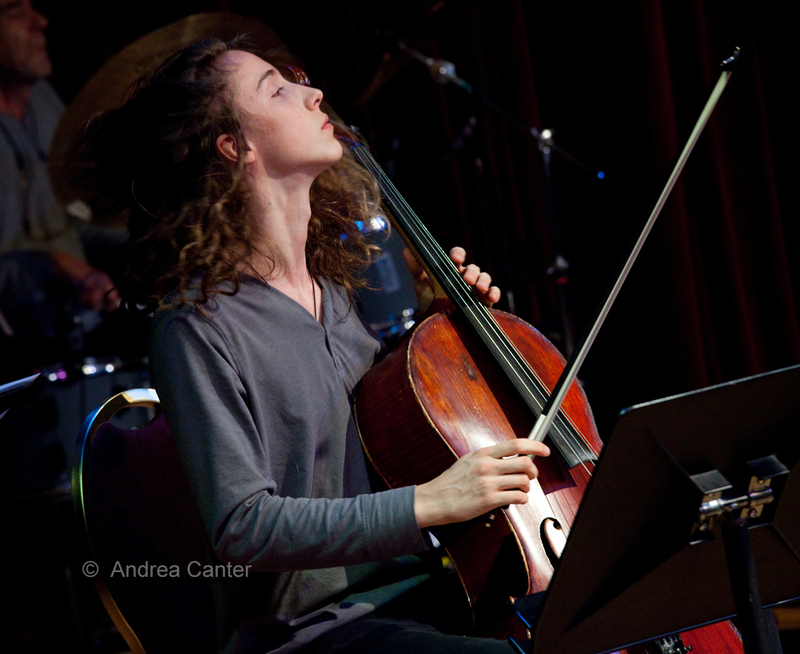 Tonight they perform at the Icehouse, a perfect venue for young, hip, improvising musicians. But don’t be put off by that description, both the music and the venue have plenty of gray-haired fans as well—their playful, thoughtful compositions have universal appeal. They were burning hard last weekend at the AQ! Wednesday, December 12. Fingerstyle guitar guru Tim Sparks celebrates the 20th anniversary of his solo interpretation of the Nutcracker Suite with a show at the Guthrie (Dowling Theater). We don't get to hear Tim locally that often--he's been all over the globe in the past twenty years. In addition to pieces from the reissue of the Nutcracker, he'll play some of his jazz and blues favorites. 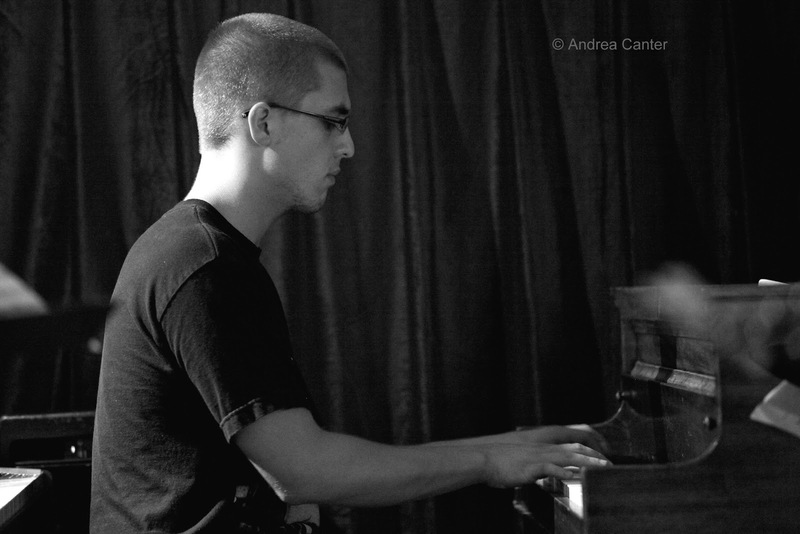 A late announced gig --pianist Javier Santiago is back for a family visit and a gig at Jazz Central tonight with Billy Peterson and dad Mac Santiago, as well as "surprise guests." 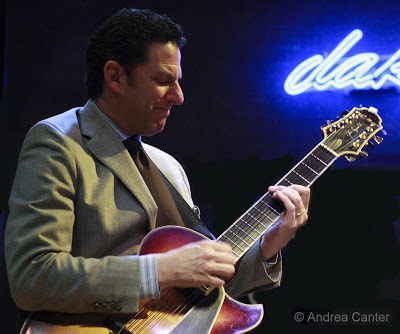 Javi tore up the teen jazz scene and then went on to the Brubeck Institute for two years before finishing his degree at the New School in New York. Now he's gigging around the Big Apple. Wednesday-Thursday, December 12-13. He can be slick, he can be very funny, he can turn the most pop-infested tune and turn it into a swinging chestnut. John Pizzarelli learned from the best, dad Bucky, and all the cats that came in and out of their musical lives over the past 50 years. He plays one heckuva guitar and adds pleasing vocals, peppering his shows with anecdotes, jokes and asides that rival stand-up routines at Las Vegas nightclubs. 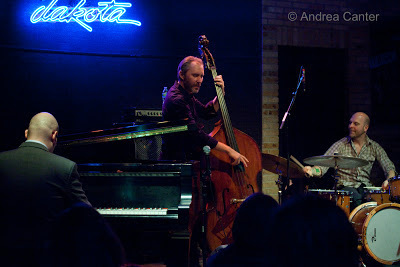 His quartet is impeccable—brother Martin on bass, Larry Fuller on piano, Tony Tedesco on drums. 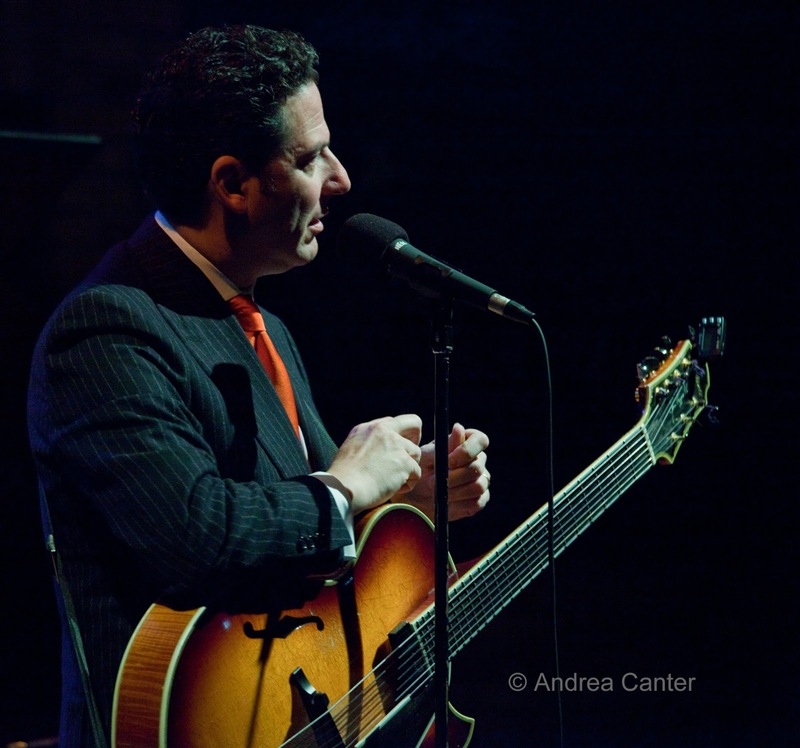 The John Pizzarelli Quartet returns to the Dakota for two nights of fun and swing. Thursday, December 13. Singer Rachel Holder teams up with swinging pianist Rick Carlson for a new installment of vocal jazz at Jazz Central. 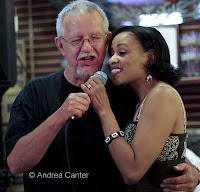 Rachel can swing a standard or gild a more poppish cover with the greatest of ease, and with Rick on keys, they will form an unforgettable duo. And there’s no better place to get up close and personal with the music than Jazz Central.